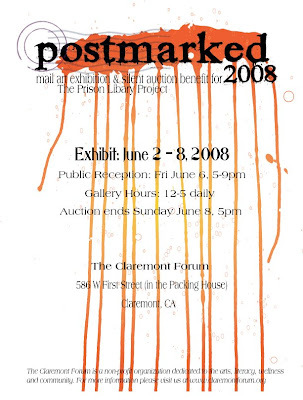 POSTMARKED 2008 opens today. I had the good fortune of dropping by yesterday and seeing most of the show. I was surprised to find there was already a bid on my envelope. The POSTMARKED 2008 blog is here.